The braised pork shoulder is finally finished so it seems like the beginning of a week. With that in mind, we prepared Chicken Monday on Thursday. John and I shared a boneless, skinless chicken breast that he sous vide with some spices. He also made up a packet of chicken gravy (25 calories for 1/4 cup.) I mashed up one Russet potato plus a little rutabaga with some sour cream and butter. The spinach was frozen and microwaved. This was a homey although somewhat boring dinner. 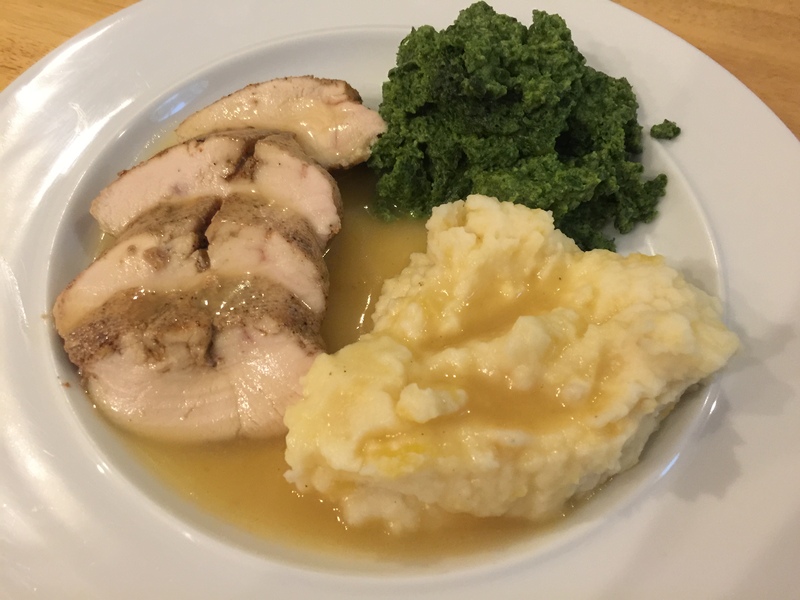 This entry was posted in Poultry, Vegetables and tagged chicken, chicken breast, gravy, mashed potatoes, sous vide, spinach, Vegetables. Bookmark the permalink.